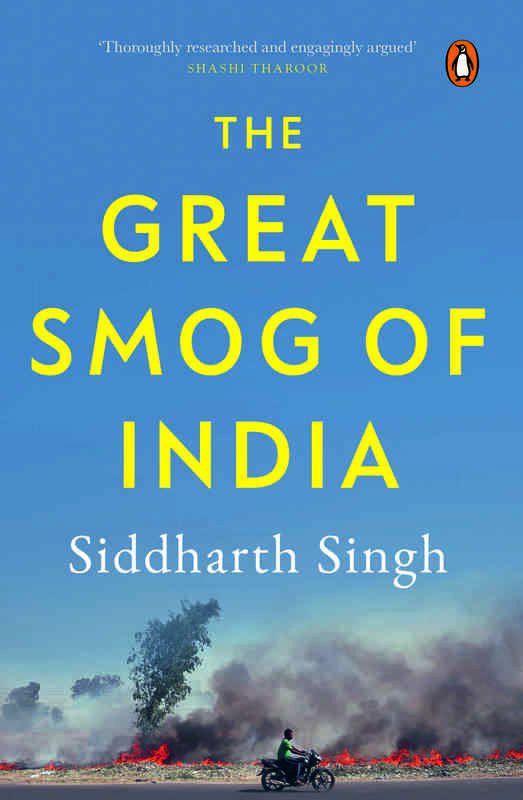 The agricultural reforms increased crop production but caused the problems that require stubble burning and pollution, writes Siddharth Singh in a new book. Contrary to popular perception in urban India, residue burning is not an age-old practice. The practice – at this magnitude, frequency and scale – can trace its origins to only a few decades ago and is the result of the evolution of farming operations, government policy, and changing labour markets, which were triggered by the Green Revolution of the late 1960s and 1970s and the agricultural policies that followed. Prior to the Green Revolution, Punjab and Haryana were not producers or consumers of rice and did not have the RWCS [rice-wheat cropping system] in place, and therefore there was no large-scale instance of crop residue burning. While it is hard to pinpoint the exact year when stubble burning became a mainstay in this region, such burning has been blamed for poor air quality in Punjab and Haryana since the early 2000s. The Green Revolution itself, however, had the noblest intentions and has played a significant role in improving the fortunes of the region and bringing food security to India. That a revolution in agriculture was necessary is by itself not up for debate. What the revolution and subsequent policies did, however, was to contribute to the creation and timing of the air pollution crisis and also to the rapidly depleting groundwater levels; this has been termed as an “agro-ecological” crisis. There were two main schools of thought on agricultural reforms: those that wanted a technological revolution and those that wanted a social one. The group that wanted a technological revolution in agriculture favoured unprecedented access to pesticides, fertilisers, credit – but most of all, hybrid seeds. In 1961, MS Swaminathan, a scientist at the Indian Agricultural Research Institute, citing the recent successes of other countries, advocated that the Indian government purchase expensive high-yielding varieties (HYV) of seeds from abroad and then offer a price guarantee to farmers to assure them a return on their investment. This met with resistance, in particular from the Planning Commission. However, in 1964, led by the agriculture minister, C Subramaniam, the government turned and favoured the idea of importing seeds and providing price guarantees. There was expected political opposition from those that favoured social revolution, arguing that this would only favour large farmers and harm consumers. The debate was put to rest soon after US President Lyndon B Johnson assumed office in 1963. He did not have a good equation with the Indian government. “You can’t give all this [food aid] away and run around dewy-eyed. You’ve got to be a little practical as to what it does and what India builds and we can’t keep doing it forever,” Johnson said. In 1966, Johnson put in place the “ship-to-mouth” policy, where food shipments to India would be released just in time for them to be consumed, leaving nothing for storage and keeping India on the edge of its charpoy in anticipation of the next shipment. This was perceived by India as a humiliation at the hands of President Johnson and was used by Prime Minister Indira Gandhi to ignore the opposition and push for a technological revolution backed by price support, thus triggering the Green Revolution as we know it. This led to a whopping 40% increase in wheat production (from 12 million to 17 million tonnes) within a year. The Green Revolution and the basket of policies that followed led to agricultural production in India rising significantly, and the country went on to ultimately end reliance on foreign aid to feed its population. These policies, however, also brought in a few significant changes to the cropping pattern in India – this has ultimately led to the “agricultural shock” caused by stubble burning. It was these policies of price support, the introduction of HYV seeds, the boom in tube well irrigation, the proliferation of combine harvesters and bureaucratic schedules in agriculture that led to the creation of the RWCS and the squeezing out of days between the two crops. This fuelled the practice of stubble burning, leading to the air pollution crisis in the region. During the Green Revolution, an HYV of rice had been introduced that was developed by the International Rice Research Institute in the Philippines – it could produce seven tonnes of rice per hectare instead of the existing varieties that produced only two tonnes per hectare, and it also took much less time to hit full maturity. This HYV rice could not be used in traditional rice-growing areas in southern India at that time. The existing varieties of rice had involved a cycle starting in June, with the onset of the monsoon, to harvesting in December. If the HYV rice was to follow the same schedule, it would start in June but mature in October, which would involve the destruction of harvest due to the ongoing rains at that time. The breakthrough for this HYV rice eventually came in Punjab, Haryana and western Uttar Pradesh in the 1970s, where owing to tube-well development, the land was already well irrigated. The tube wells that were installed on the back of gains made by wheat cultivation went on to become useful for HYV rice. These regions were not traditional rice-growing areas prior to the Green Revolution. The farmers here were therefore free from the constraints that had prevented HYV rice being used in traditional rice-growing areas. As rice cultivation expanded, rice production in Punjab as a share of the national production went from 0.7% in 1960 to 7% by 1979. This was promoted by the state, with the government procuring around 80% of the rice produced in Punjab in the 1980s. There were similar gains in Haryana and western Uttar Pradesh. And just like that, the region was producing two crops on a large scale: rice and wheat, with wheat being sown and harvested in the dry winter season, and rice to coincide with the monsoon season. The RWCS had been established. This cropping system had support from the government. The state governments of Punjab and Haryana had mandated that the timing of the rice planting should coincide with the monsoon rains which lash the region starting early July. Since 2009, there has even been a law called the Punjab Preservation of Subsoil Water Act that has prohibited the cultivation of paddy before a date is decided by the government. Owing to such mandates and regulations, the two crop periods of Kharif and Rabi in the case of rice and wheat moved close to one another, leaving about fifteen days in between the two crop cycles. This put pressure on farmers to prepare the farm for the next crop in a handful of days, and burning the residue has proven to be the cheapest and quickest way to do so. Such a cropping pattern is not a global phenomenon as India’s monsoons are quite unique, as is the RWCS. Europe, for instance, with its sporadic rainfall through the year, does not have a monsoon season the way India does. Monsoons are defined by meteorologists as the shift in prevailing wind caused by the heating differential between land and sea that brings a seasonal and predictable period of significant rainfall. India’s south-westerly monsoon is cited as among the world’s best instances of such a phenomenon. The RWCS was developed in Punjab, Haryana and western Uttar Pradesh owing to India’s monsoon patterns as well as the basket of policies that originated from the Green Revolution. India’s crop residue burning practice in October and November is therefore not only unique, it is also a recent phenomenon. The RWCS has undoubtedly been successful in raising the production of the two crops and enhancing food security in India. But there have also been negative externalities, with stubble burning being a relevant example. 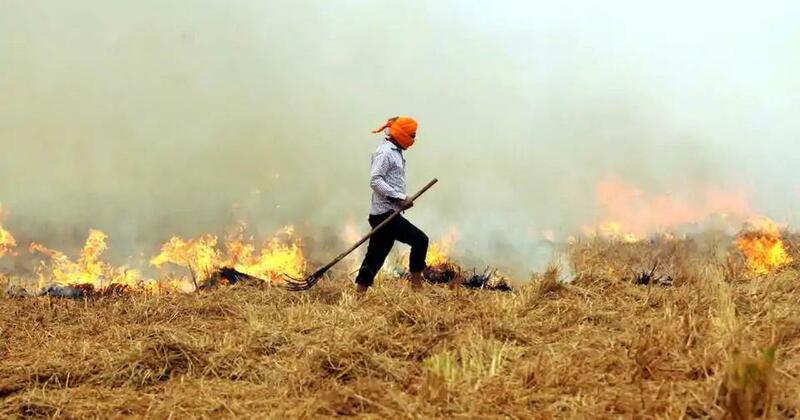 Scientists have estimated that the poor air quality from stubble burning has led to decreasing crop yield in India. The stubble burning itself was made inevitable to the farmers of the region for multiple reasons. For one, the HYV rice ensured that the residue left was much taller than the basmati residue, while at the same time being less palatable as fodder for animals. More importantly, the proliferation of combine harvesters, while it has had positive outcomes for production, leaves a farm in a condition that makes crop residue management harder. Prior to the arrival of these combines, manual labour was employed to cut down the plant and then separate the edible part. Because this process was manual, workers were able to both remove the edible and marketable part of the plant and also uproot the rest alongside. This was, however, a labour-intensive and time-consuming process. These combine harvesters changed all that. They were very effective in the job they did – that is, cut, thresh and clean the grains using rotating blades, wheels, sieves and elevators. But they had a downside: they would leave behind the rest of the plant, which portion was about one foot tall. Farmers claim that these harvesters leave this residue in such a condition that it becomes even harder to remove manually than otherwise. Farmers complain that the residue is often too sharp, which not only injures them, but also makes it difficult for animals to graze on. It is necessary to remove the residue because if they do not, straw would get stuck in the machines that plant the next crop. 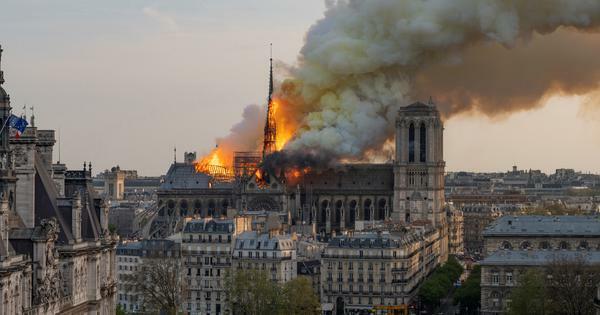 The cheapest way to rid the farms of this residue is to pour kerosene or any other fuel on the earth and set it on fire. Over 26,000 combine harvesters are in use in India today, half of which are in north-western India.25 These combine harvesters have triggered a practice that is now a major contributor to air pollution in India. The increased purchase and use of machinery has not only displaced manual labour, but also animal labour on the farms. The crop residue that was once valued as feedstock for farm animals was no longer needed as the use of farm animals was replaced by machinery, thus further incentivising the burning of it. In Punjab and Haryana in particular, the residual rice straw that remains is non-palatable to animals and impacts the quality and quantity of milk produced by cows, owing to which farmers refuse to go the extra mile to collect and sell this residue. Naturally, when hundreds of thousands of farm owners burn their crops in a region where farming is the largest employer, and at the time of year when the winds have slowed down, the whole region will be engulfed in smoke and haze – which is exactly what makes the great smog an annual affair in not only Delhi, but also the rest of the northern Indian region. This time of year has a dangerous cocktail of emissions from other sources combining with slow winds and low temperatures that ensure particulate matter settles down to lower altitudes. The Green Revolution set in motion a sequence of events that brought technology and better seeds into the country, price support to certain crops and certain agricultural practices. Beyond these initial measures, agricultural reforms stalled, owing to which many social and structural problems continue to ail the sector. Owing to this, the farm sector is still in distress, which has slowed down the large-scale adoption of newer technologies, including those that can deal with the agricultural air pollution shock. Excerpted with permission from The Great Smog of India, Siddharth Singh, Penguin Random House India.